India is truly a country of superlatives – the heat, the crowds, the smells, the beauty, everything is intense. 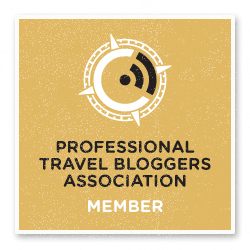 Travelling around India independently can be a stressful experience – and while in India, sooner or later I’m sure you’ll be dreaming of lying on the beach, coconut in hand, with your toes in the sand and no concerns besides what delicious meal to have for dinner. 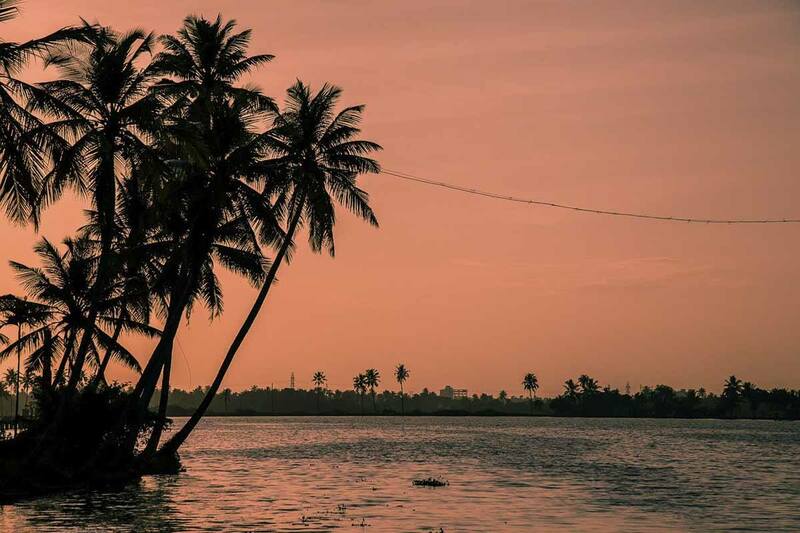 There are plenty of choices in India for those who want to relax on the beach – from the magical Lakshadweep with their Maldivian atmosphere to ever-famous Goa, and our very own favourite, Kerala. We spent over a month in Kerala during our extended trip across the country, and most of this time was spent by the beach – eating, swimming, doing yoga or simply watching the breeze ruffle the palm trees. 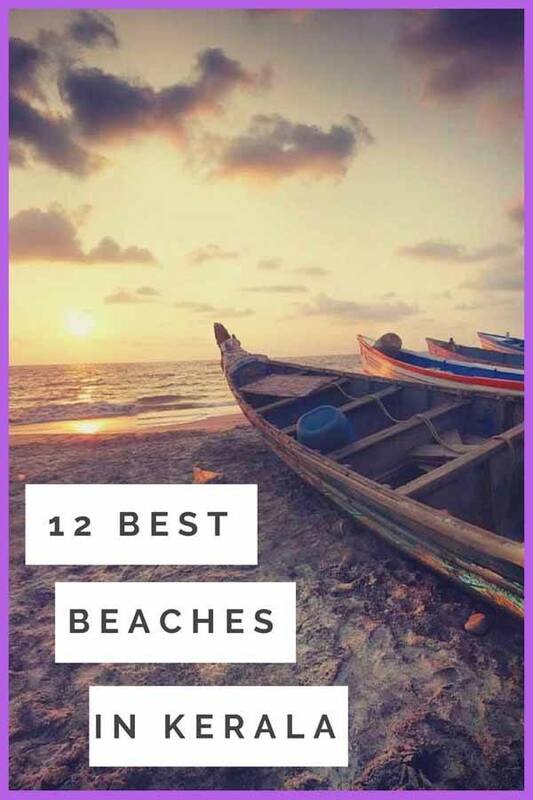 Here is our selection of the 12 best beaches in Kerala. Do you have any more to add? Let us know and we’ll head there next time we’re in India! 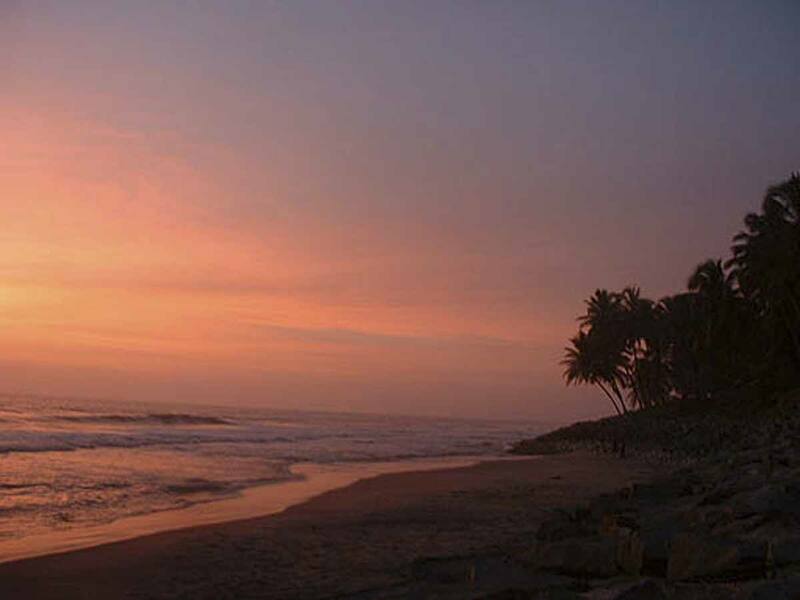 Would you like to relax on a Kerala beach? As one of the most precious jewels of the Arabian Sea, Kovalam is a heavenly area that absolutely deserves to be in this selection of best beaches in Kerala. It’s situated in the southern parts of ‘God’s Own Country’, and it’s very easy to access – in fact, Kovalam is actually two beaches in one. The first beach is known as Eve’s Beach, and the second is Lighthouse Beach, and both of them are gorgeous stretches of white sand, around which you can find bars and restaurants, as well as some fantastic opportunities for swimming, diving, and enjoying a relaxing Ayurvedic massage. This is a peculiar beach, in that it feels slightly secluded but it’s not off the beaten path. Varkala is a relaxing and meditative spot, popular with yoga lovers and hippies, and it’s famous for its cliffs overlooking the beach – most beaches in Kerala are long and sandy, and these cliffs make Varkala truly unique. However, that’s not the only reason it’s becoming so popular. The famous Janardana Swami Temple is also located close the beach, and there are some natural springs that are said to have restorative properties. So not only does Varkala offer a traditional beach getaway, it has a very unique spiritual side. Truly one of the best Kerala beaches, with many great hotels located in the vicinity. A fine exotic retreat with an impeccable exotic appeal, Alappuzha Beach is quite well known, being located not far from the town of the same name. On one side, there’s the excellent beach with its many amenities, a real exotic feeling, and a very relaxed ambiance, and on the other side there are the world-famous backwater cruises that take place on houseboats, one of the most popular Kerala activities for tourists. These cruises are luxurious retreats, and the boats themselves are practically a hotel that floats on water – with separate rooms, kitchens, and personal areas. 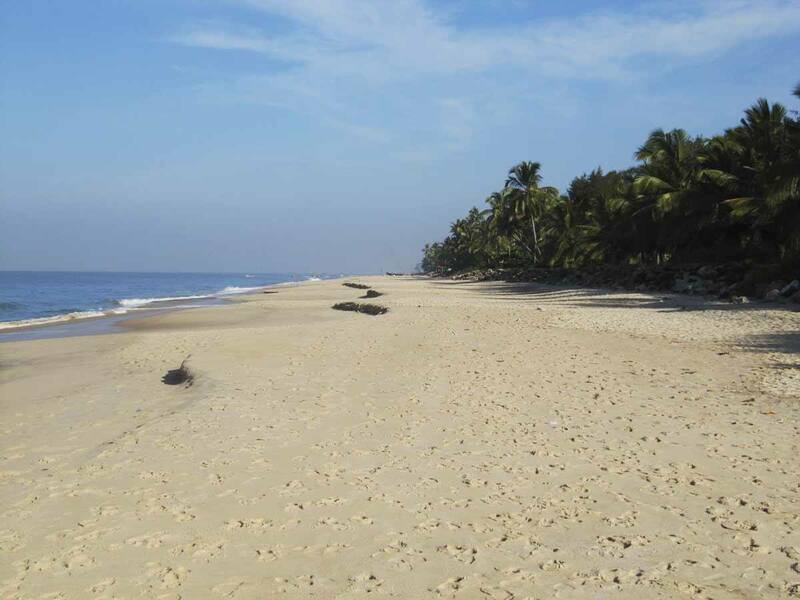 But Alappuzha beach is also a serene spot, because it can be calm and relaxing as it’s ideal for a picnic. India is quite well known for its long and detailed history. The country is filled with historic sites that offer a unique perspective into the past of India, and Bekal Fort is definitely one of them. An imposing building that overlooks the sea, Bekal Fort is a tall structure built in 1650 to protect the Malabar Coast, and carefully maintained throughout the years. Have you ever seen a fort beach? 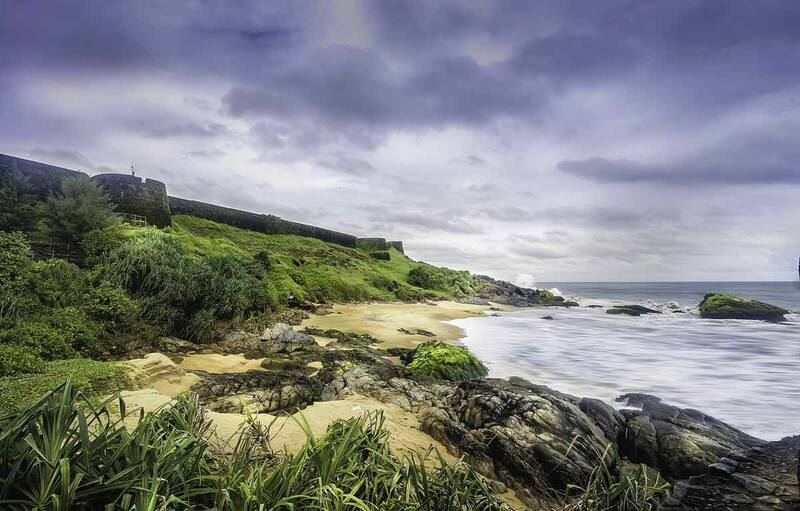 Below the fort, the beach provides an excellent location to relax, and it’s truly one of the most scenic beaches in Kerala, whether you admire it from the fort above or stand on the sand. The beach is connected to the fort, through some unique walkways and passageways, and it’s lit up at night. One of the most relaxing beaches in all of India, Marari Beach is relaxing spot that’s absolutely perfect to just chill, and do nothing. 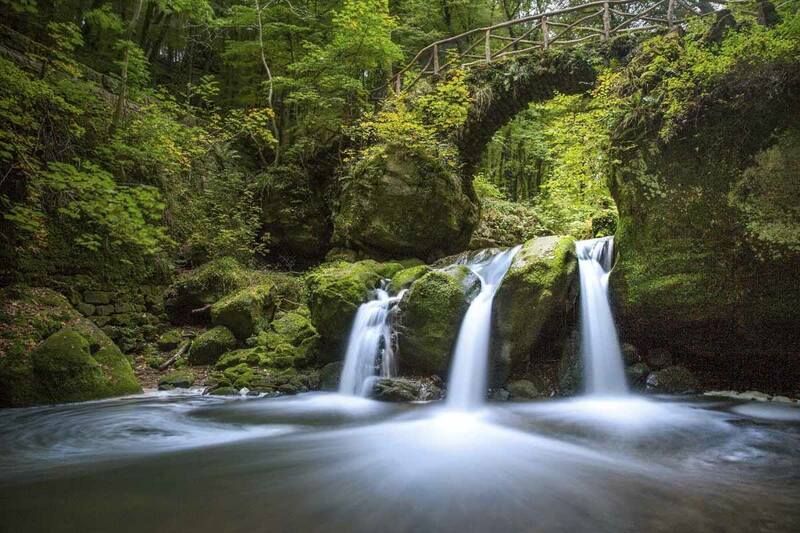 There aren’t many bars and restaurants – this is a great destination for long and relaxing walks, picking a secluded spot to place your hammock while just enjoying the nice, picturesque view. The climate is nice and warm, but it does rain quite frequently during the wet season. Other than that, it’s one of the best beaches in Kerala for swimming and for families! This beach is considered one of the more important historical sites in the state! 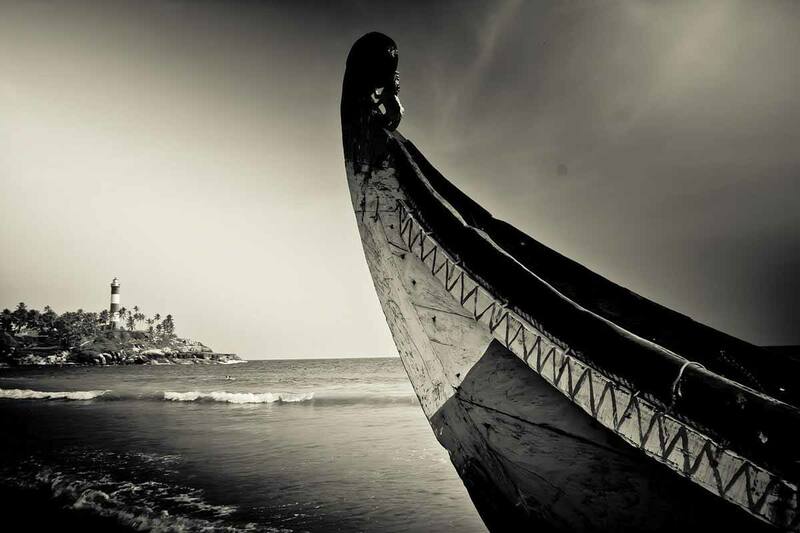 Kozhikode is in fact the beach Vasco de Gama landed on when seeking to map the Spice Route in the 16th century. 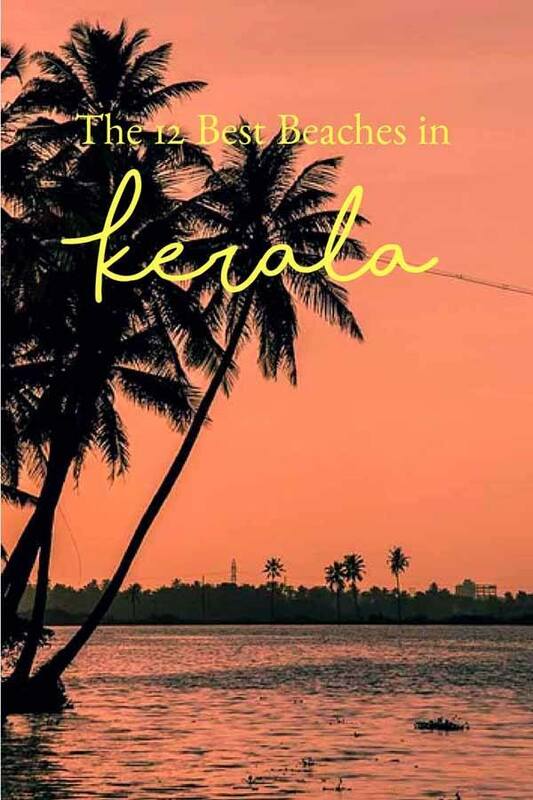 Nowadays it’s a destination where tourists from all around the world flock to, not only because of the gorgeous white sands, but also because of the many foods stalls that offer great Kerala street food, including many seafood delicacies. There’s an intrinsic old-world feel about the beach, and Dolphin Point is one of its many highlights, where you can go observe these lovable creatures go about their days. Poovar is truly one of the most beautiful beaches in Kerala. No matter the direction you turn to, there’s always something stunning to look at – the gorgeous pristine white sands of the beach, the crystal clear waters of the Arabian Sea, or the Western Ghats towering over the region like a giant. The entire area feels almost like a wildlife reserve, because there are innumerable species of flora and fauna that have made Poovar their home, and the pristine beauty of this beach only adds to its paradise feel. 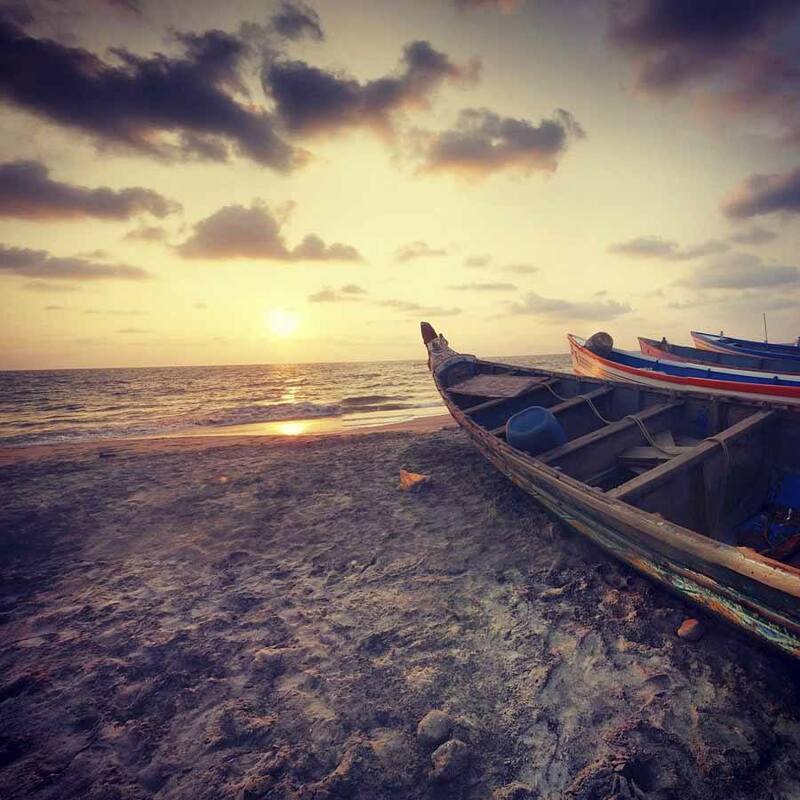 Often called ‘the Princess of the Arabian Sea’, Cherai beach is a stunning location not far from Kochi that can’t be easily forgotten – and rightly so! The beach is one of the best in the whole of Kerala, with its clean white sands, ultramarine waters, surrounded by many coconut trees. Cherai is feels slightly different to the other beaches, mainly because of its length of 15km, but also because of the many seashells found on the beach and around the area, and the backwaters of the nearby river – Cherai is actually the only place in Kerala where the beach and backwaters can be enjoyed in the same place. The resorts around Cherai are quite reasonably priced, too, so all everything combined together makes for one amazing trip to this secluded corner of Kerala. Another one of the beaches that Vasco de Gama discovered when first stepping on Indian soil, the ambiance and atmosphere around Kappad beach is truly unique. This is not a touristy destination, but rather a meditative and tranquil spot filled with interesting rock formations, natural beauty, and the star of the show – an 800-year old temple located right next to the beach. Kappad is the ideal destination for those wanting to do some exploration, but to also revel in the natural beauty that makes Kerala special. Out of the several beaches in the region around Kannur, Payyambalam is definitely the most spectacular one, well deserving of a place in this selection of best Kerala beaches. The beach itself is a stunning display of natural beauty the likes of which are rarely seen, with miles of fine sand surrounded by calm coconut trees. The waters are calm and clear, and offer opportunities to go surfing or just enjoy swimming. The entire area is more of tranquil picnic spot, popular with Kannur residents and visitors, and there are some bars and restaurants nearby. It will probably be developed further in the future – meanwhile, make sure to enjoy Payyambalam’s mellow vibe if you’re in the vicinity! Everything about Somatheeram Beach feels nothing short of a dream. It has one of the best locations in the entire country, and the combination of gorgeous scenery and Keralan hospitality made it one of the most popular beach resorts in the world. It’s the first Ayurvedic resort in India, and it’s the ideal destination to relax the beach, swim in the perfect waters, or simply get an Ayurvedic massage that you’ll remember for a very long time. Don’t miss spending a couple of days relaxing on Somatheeram – the best beach in Kerala for those wanting to learn more about Ayurvedic treatments! Credited as the only drive-in beach in the region, Muzhappilangad is no less stunning than all the other beaches in this list. It’s not a typical beach, at least in the traditional sense, because instead of walking along the beach you’ll be driving on it, and sharing it with several other vehicles that drive around you. 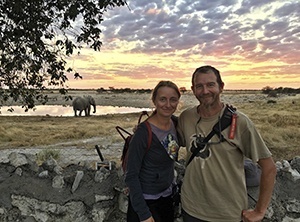 Yet, the sights are absolutely spectacular – miles after miles of sand and water, and the opportunity to enjoy a true sense of freedom as you zip along the beach in your vehicle, your hair ruffled by the breeze.